Adam Sitka has been an Engineer at Wessler Engineering for approximately two and a half years and was October's Employee of the Month. 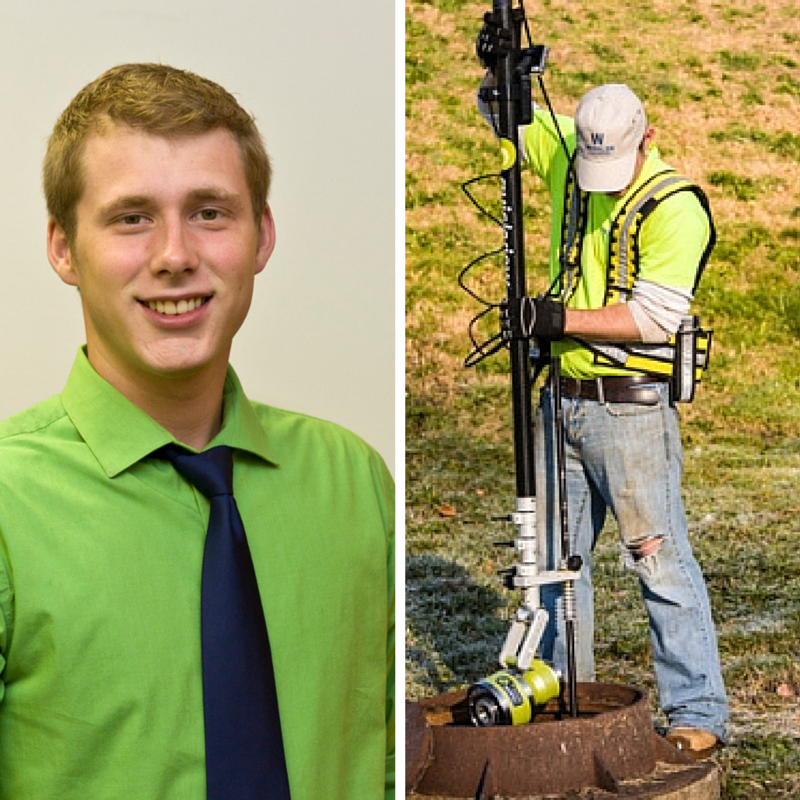 He does a little bit of everything in the office and in the field, see what he had to say about why he loves to crawl under homes to identify illicit sump pump connections. What do you do at Wessler? A little bit of everything! I enjoy a wonderful balance of office and field work. While in the office I can be found working on water main designs, drinking water studies, stormwater utility formation projects, or assisting with our Field Services Division. When in the field I can be found assisting our Field Services Division with sanitary sewer investigations consisting of smoke testing, manhole inspections, mapping and pole-camera inspections. Being able to help the communities that we work with; whether it’s crawling under homes to identify illicit sump pump connections or preparing a preliminary engineering report to help a community get the assistance they need to improve their infrastructure. Knowing that we provide our clients with the means of bettering their community is the most rewarding part of my job. A water and stormwater study we recently completed for the Town of Morgantown. The Town’s water and stormwater infrastructure had not been assessed in quite some time and was in need of improvement. By preparing a preliminary engineering report, we were able to identify the needs of the Town, provide a planning document to address the systems needs and improve the Town. What is your favorite work story? Every so often Wessler will have a “Day of Giving” where we get together and help out the communities we work with. The activities range from gardening work to painting. My favorite volunteer opportunity we had was to help a resident in Frankfort who could no longer maintain their yard. We landscaped, removed debris and yard waste, filling up several large dumpsters. It was amazingly rewarding to see the yard transform and the smile it put on the homeowner’s face. What do you listen to in your car on the way to work or to a work site? My wife and I have several pets. Two dogs; Bailey (a lab/dane mix) and Dexter (a lab/pit mix). We also have three cats; Delilah, Chief and Marley. Pittsburgh Steelers. But I’m biased being from Pennsylvania. Choose one: Coffee, tea, soda, juice, or water. Thanks Adam, congratulations on being our October Employee of the month!